Cassini launched in October 1997 with the European Space Agency's Huygens probe. The probe was equipped with six instruments to study Titan, Saturn's largest moon. It landed on Titan's surface on Jan. 14, 2005, Cassini completed its initial four-year mission to explore the Saturn System in June 2008 and the first extended mission, called the Cassini Equinox Mission, in September 2010. 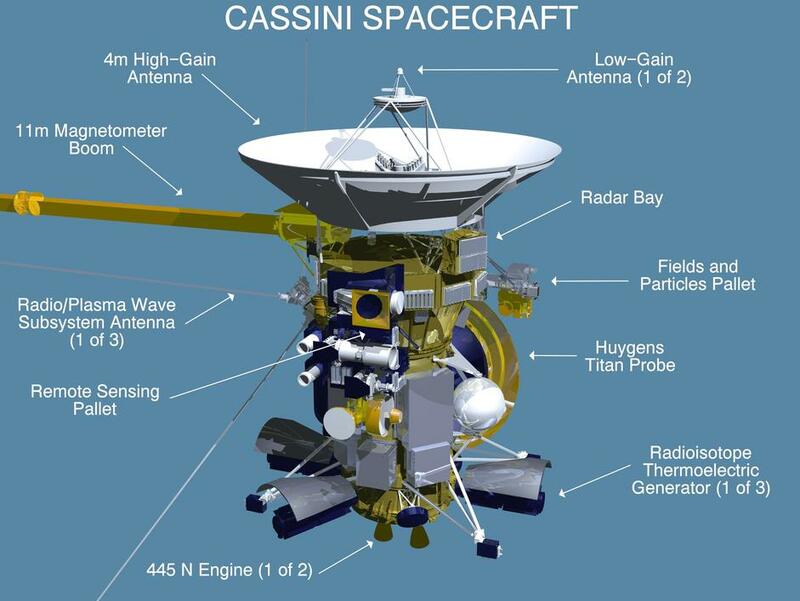 Now, the healthy spacecraft is seeking to make exciting new discoveries in a second extended mission called the Cassini Solstice Mission, which goes through September 2017. CAPS includes an ion mass spectrometer (IMS) providing species-resolved measurements of the flux of positive atomic and molecular ions as a function of energy/charge vs. aperture entry direction; an ion beam spectrometer (IBS) that measures the flux of positive ions of all species as a function of energy/charge and entry direction; and also an electron spectrometer (ELS) to measure the flux of electrons as a function of energy/charge and entry direction. The Dual Technique Magnetometer (MAG) is a direct sensing Instrument that measures the strength and direction of the magnetic fields around Saturn. The magnetic fields are generated partly by the intensely hot molten core at Saturn’s center. Measuring the magnetic field is one of the ways to probe the core, even though it is far too hot and deep for an actual visit. Magnetometers are direct sensing instruments that detect and measure the strength of magnetic fields in the vicinity of the spacecraft. MAG consists of a vector/scalar helium magnetometer sensor, a flux-gate magnetometer sensor, a data processing unit, and three power supplies, plus operating software and electronics associated with the sensors. Our human resources participated in the development of the Cassini Plasma Spectrometer (CAPS) and of the Dual Technique Magnetometer (MAG) instruments. In both cases, the orbiter simulators (as EGSEs) were developed by our team members, as employees of KFKI RMKI (present name is Wigner Research Centre of Physics).